This black stool usually accompany the chess table. 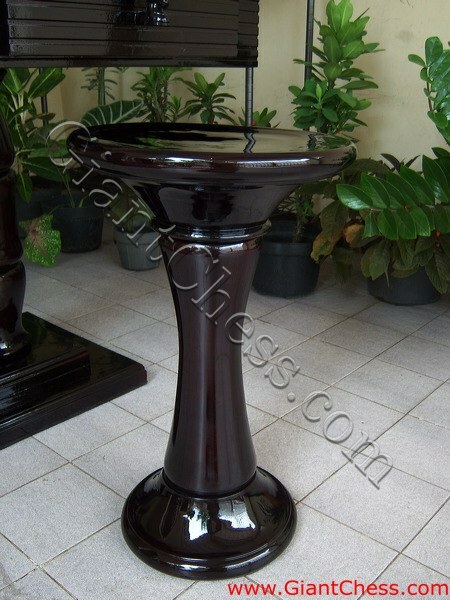 Polished well in black and add with glossy touch, make the stool looks more elegant and interesting. The wooden stool has simple design but you will comfortable when you use it. The wooden stool is perfect choice for you who play chess game on squares chess board. This stool will accompany you to completed your chess game. The black stool has made from Teak wood and carved by talented craftsman. It safety and durable for indoor and outdoor use. Beside, you can use it for you house furniture collection. This wooden black stool will take a part in your house as one of unique furniture. It perfect also for accompany you bar table.